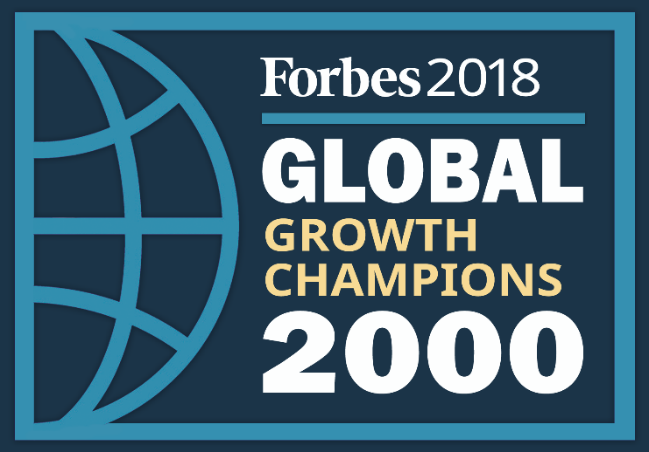 Los Angeles, CA, July 23, 2018—Greenland USA is proud to announce that its parent company Greenland Holdings Group has ranked number one on the recently published Forbes 2018 Global Growth Champions list. Greenland Holdings Group made $44.8 billion in sales and $1.5 billion in profit in the last year and has jumped to the number one spot since the release of Forbes’ 2017 Global Growth Champions list. Additionally, the company also ranked 252 on the recently released 2018 Fortune Global 500 list. Since debuting on the Fortune 500 list in 2012 as the first Chinese developer, Greenland Holdings Group has been included on the list for seven consecutive years. Greenland USA, the US-based arm of Greenland Holdings Group is currently developing two massive mixed-use projects—Pacific Park Brooklyn in New York, the redevelopment of 22 acres in downtown Brooklyn that will include 2,250 units of affordable housing, 8 acres of publicly accessible open space and major infrastructure improvement, and Metropolis in Los Angeles which is one of the largest real estate developments in the history of Downtown L.A. The Shanghai Greenland Development Company, the precedent of Greenland Holdings Group, was established in 1992. From a small business with merely 20 million yuan ($2.9 million) registered capital, the company has gradually grown into a global enterprise with a market value of $13.9 billion. Forbes Global Growth Champions list is an annual ranking of the world’s biggest companies by sales, profits, assets, and market value. Forbes partners with Statista, an online statistic, market research and business intelligence portal, to look at the revenue growth of all the companies on the Forbes list. The growth rates where ranked and the top 250 companies made it on the Forbes Global Growth Champions list. Fortune 500 is an annual list compiled and published by Fortune magazine that ranks 500 of the largest corporations by total revenue for their respective fiscal years. Established in Shanghai, China on July 18, 1992, Greenland Holding Group Co. Limited (also known as “Greenland Group”) holds an asset size of over USD $130B and has ranked among Fortune Global 500 for seven consecutive years. Committed to transforming communities around the world, Greenland Group manages projects in over 100 cities in nine countries on four continents. Greenland Group specializes in developing large-scale projects while prioritizing quality and efficiency. The company is a leader in the development of ultra-high-rise buildings, large urban complexes, industrial parks and business districts surrounding transportation centers, such as high-speed railway stations. Currently, there are 23 ultra-high-rise projects under construction or completed by Greenland Group, four of which are among top 10 tallest buildings in the world. Beyond real estate, Greenland Group has diversified its portfolio by expanding into strategic and related industries, such as retail and transportation.